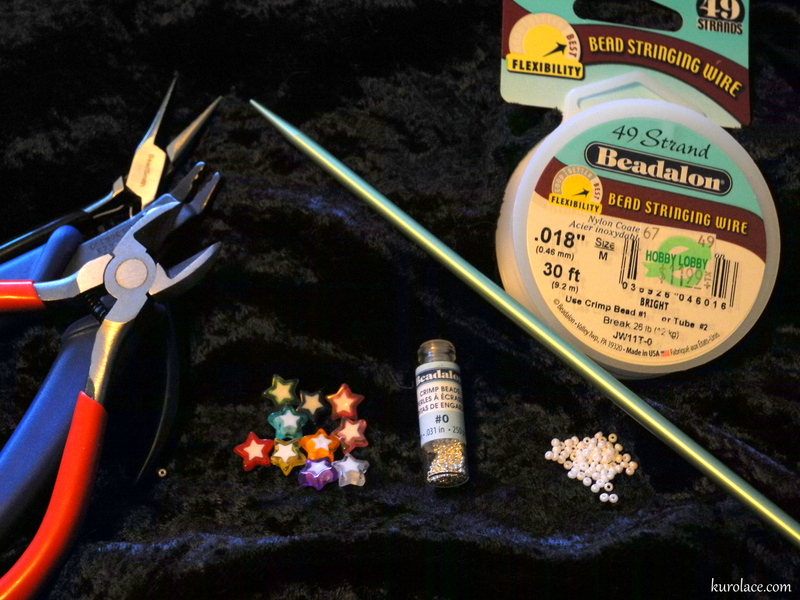 Beading wire, such as “Beadalon.” Please get a small diameter with high flexibility. You can get a wider selection online, if your local craft store doesn’t carry much. 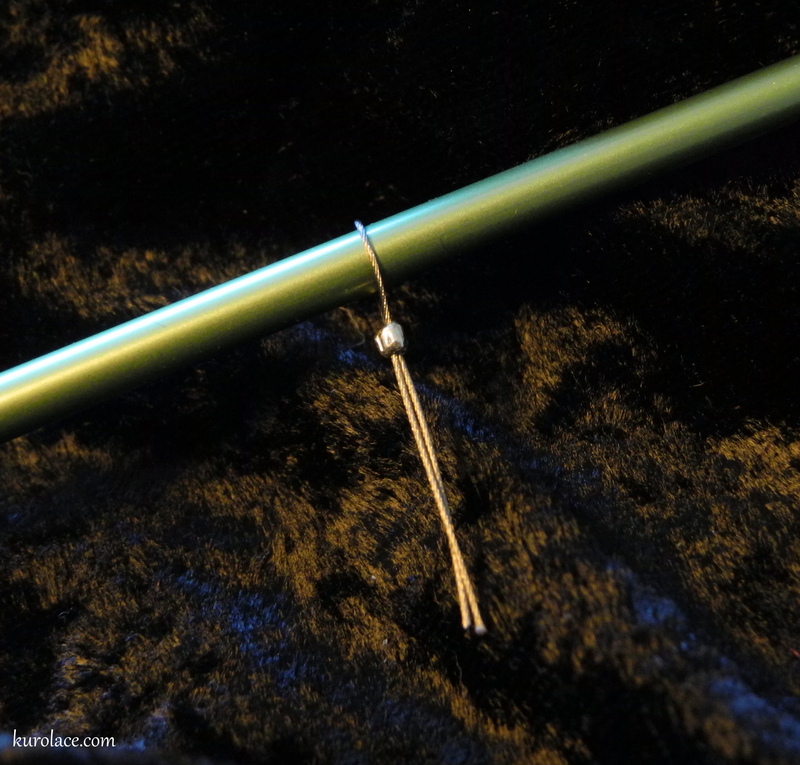 A knitting needle of the max. size you want the markers to fit. First you want to cut small sections of wire. The exact length depends on the size stitch marker you want to make, as well as the bead (or beads) you are using. Hold your knitting needle, wrap the wire around it, and cut a section long enough. Give yourself a few centimeters extra length, for workability. Keep the wire around the knitting needle, hold the two ends of wire together, and put them both through a crimp bead. 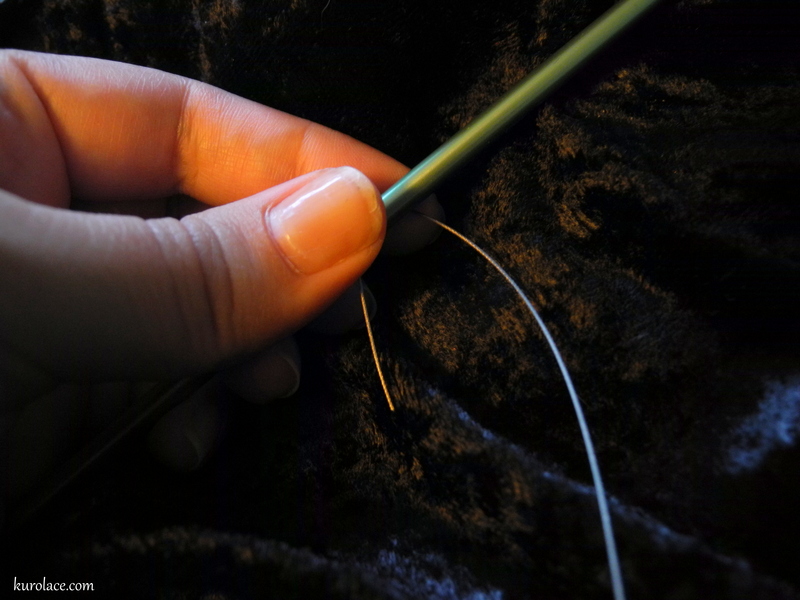 Push the crimp bead up towards the knitting needle to tighten the loop. Don’t make it too tight though – you want to be able to easily slide the stitch marker along the needle. Crimp the crimp bead with the crimping pliers or with chain nose pliers. If using chain nose pliers, make sure it’s really tight and the crimp bead can’t move. If you are making a set of markers, you might want to go ahead and get all of the wire sections prepared before moving on to the next step. I think it helps me keep them all a bit more uniform in regards to the tightness of the loop. Next you’ll add your beads. 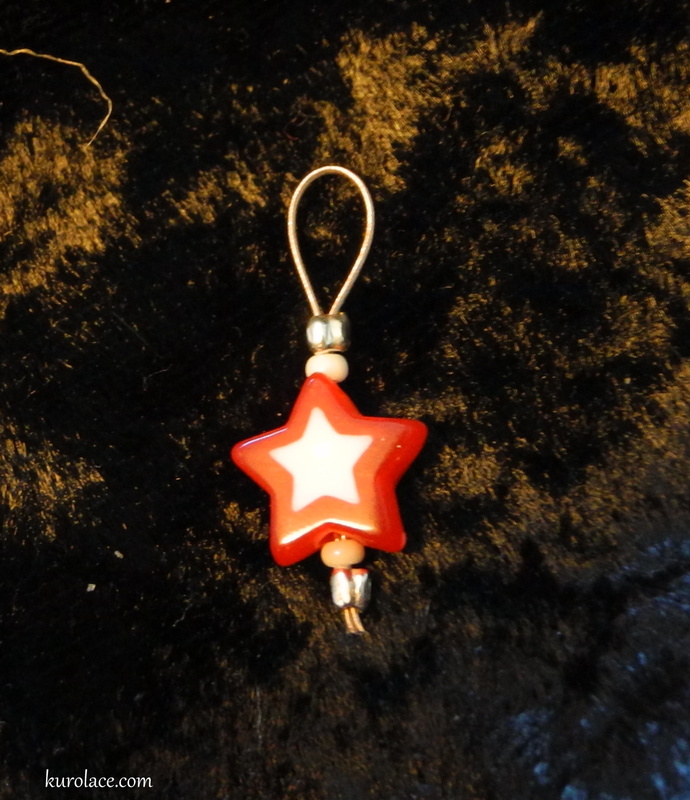 I put one seed bead, one star bead, and one seed bead. Obviously this is up to you, and time to use your design sense! You can use any kind of bead that’ll fit on your wires! Next add another crimp bead, and crimp. Make sure the crimp bead is secure and isn’t moving at all. Then you can trim the wires so that they end just after the crimp bead. If they seem sharp to you, use a file on the ends to round them off. Viola! Your stitch marker is now complete! Continue on to make a matching set of 5 or 6, or make a bunch of mix-and -match ones! 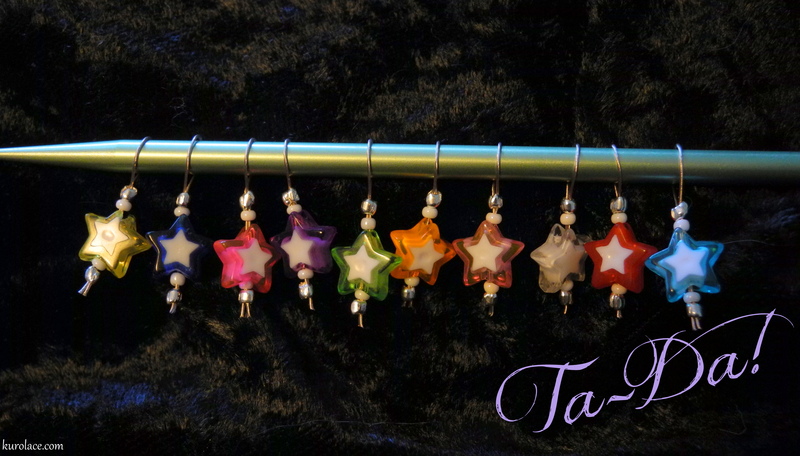 As you can see below, I made a large set of rainbow stars!